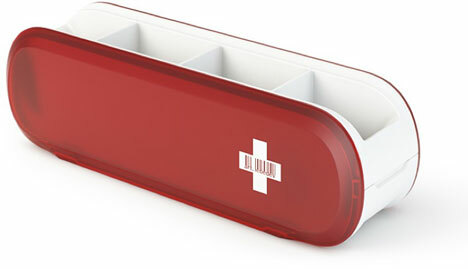 Swissarmius Cutlery Holder by Art Lebedev Studio. haha!!! that is so awesome!!! i love it. Um, hello. This is AMAZING. Hahaha! This is a great photo! I wish this was real. 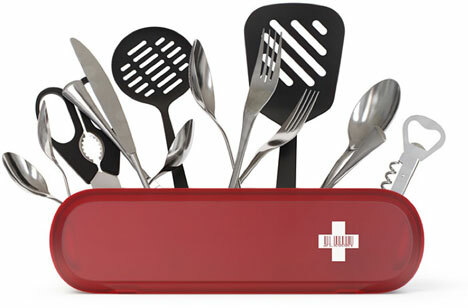 I always can’t find something in the kitchen and this is a very cool way of displaying your kitchen utensils. Too funny! Just wondering if you’ve found a good plugin to show two pages of comments. I remember you mentioned something about it a couple months ago. I want to bay SWISS KITCHEN. What must ta mike ?